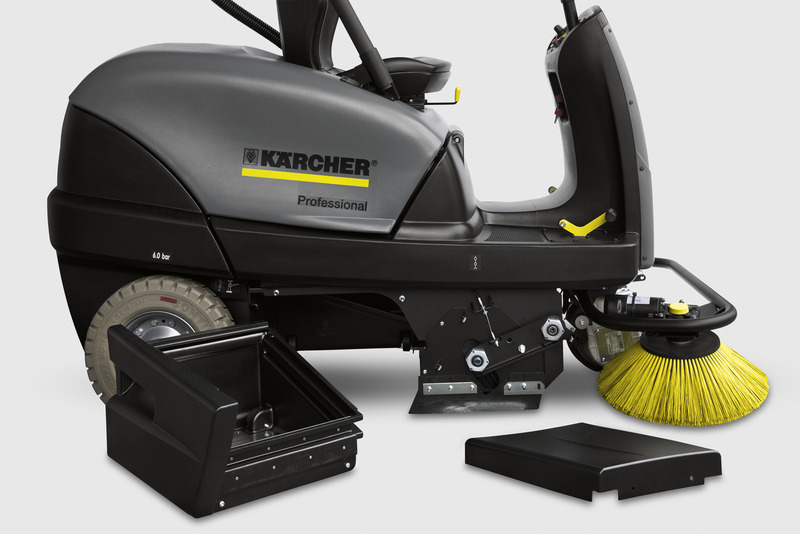 KM 100/100 R Bp Pack 12801120 https://www.kaercher.com/tn/professional/sweepers-and-vacuum-sweepers/vacuum-sweepers-ride-on/km-100-100-r-bp-pack-12801120.html Comfortable, modern ride-on sweeper for professional use indoors and outdoors for areas from 6,000 m²/h to 7,800 m²/h. 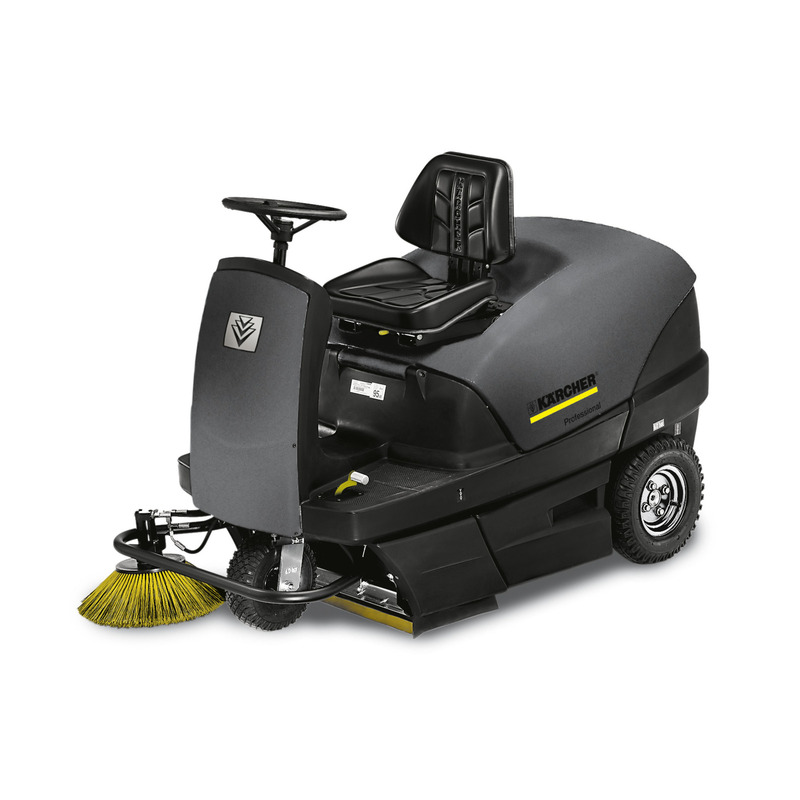 TECHNICAL DESCRIPTION: Drive- 24 V/600 W DC motor - 1 pedal for forward and reverse - small turning circle (3350 mm) - automatic vacuum parking brake - automatic engine cut out when driver leaves seat - effective round filter system with automatic filter cleaning Sweeping/vacuum system: This machine uses the overthrow principle, i.e. the roller brush throws the dirt up and back into the dirt container. The floating roller brush adjusts automatically to uneven surfaces. The filter and main roller brush can be replaced without tools. With integrated coarse dirt flap for coarse waste, e.g. cans, split, gravel or wet leaves. The side brush and roller brush are hydraulically driven. A second optional side brush is available. Dirt container:Both 50 litre dirt containers can be removed from the side. Operation: The main roller brush and side brush can be automatically lifted and lowered via a switch. Forward and reverse via one pedal. Includes batteries and charger.